PBJ Quilt Sandwiches: Sweet Dreams - DONE! After an exciting evening out to see The Wizard of Oz at The Fox Theatre, I came home and decided to finish the last few rows of Sweet Dreams! 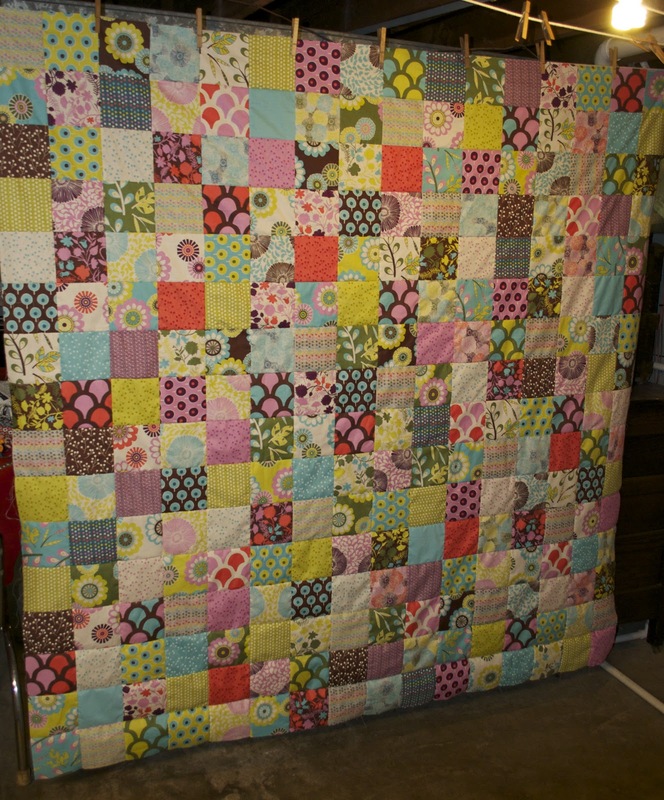 I really enjoy the modern take on this traditional patchwork quilt. These fabrics were very fun to work with, I think my favorite fabric out of the line is any of the big flowers that almost look like cogwheels. It's very late or early (however you see it) and as the quilt suggests - SWEET DREAMS! It looks awesome! I agree, the fabric with the flowers is great. I also love the tone on tone red that pops out. Very nice.